If they handed out awards to financial assets like they did to movies, then Bitcoin would definitely be the winner of the Razzie for worst currency. Bitcoin lost more than 60% of its value last year. The digital currency has already plunged another 30% in the first few days of 2015 -- and that includes a 30% rebound on Thursday! The price of Bitcoin (XBT) briefly fell below $200 on Wednesday, an important psychological barrier, before bouncing back. According to Bitcoin news site Coindesk, it is not profitable for people to process transactions or mine for Bitcoins when the price falls below $200. "Mining" is the term used to describe the complex math puzzles solved by computer networks in exchange for new Bitcoins. So what's next for Bitcoin? There is an intense debate about its future. Bitcoin was a bubble that has burst. Jeffrey Gundlach, head of influential investment firm DoubleLine, is firmly in the Bitcoin bear camp. In a webcast on Tuesday, Gundlach declared that Bitcoin is "on its way to being relegated to the ash heap of digital currencies." 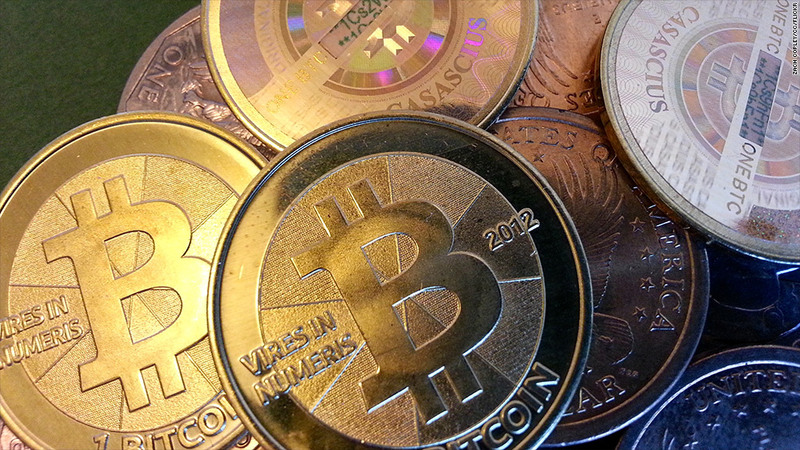 Those comments may be one of the reasons why Bitcoin plunged on Wednesday. But is it fair to focus on Bitcoin's price as a measure of failure or success? This is a currency after all. The problem is that some fans of Bitcoin seem to think that it is also something that could be a good investment. And that does not appear to be the case. The price has swung violently over the past few years with little rhyme or reason. 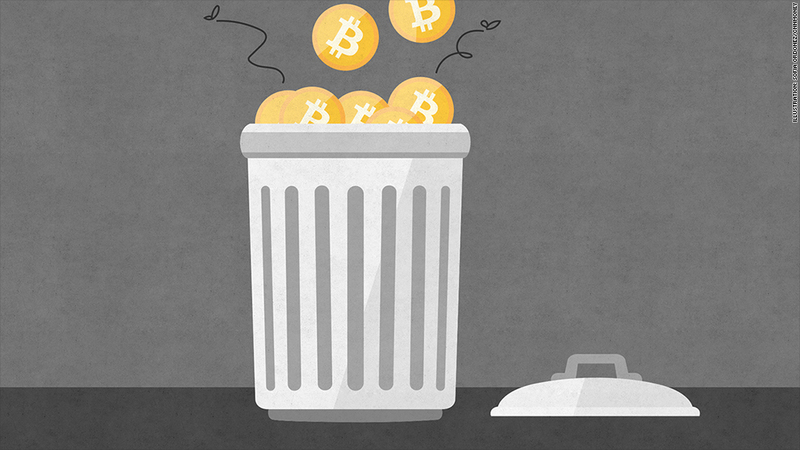 Where did bitcoin go wrong? Some Bitcoin proponents have argued that the fact that Bitcoins are not printed by sovereign nations is a plus that should boost its value. There are a finite supply of Bitcoins determined by an algorithm. But that doesn't justify why the price should have hit an all-time high above $1,100 back in November 2013. The surge in Bitcoin prices back then was a classic speculative mania, just like Internet stocks in the late 1990s and houses in the mid-2000s. When people say that the price of something should keep going up indefinitely, that often means that too many people are chasing that asset higher ... and it's really due for a painful crash. But Bitcoin is not dead. 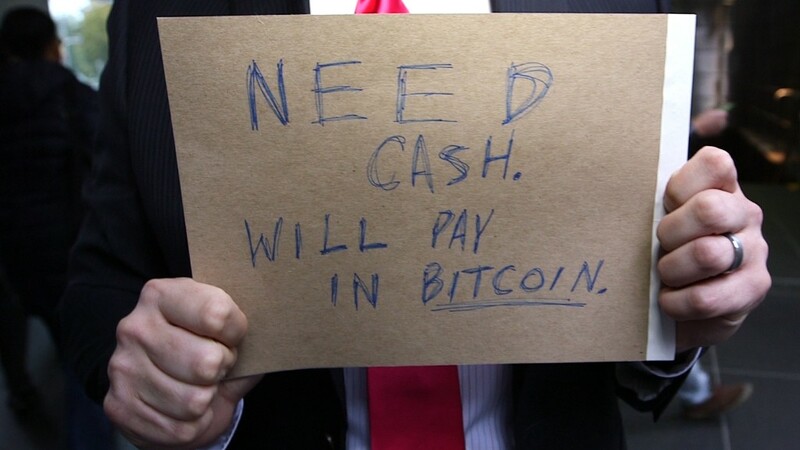 Still, it appears that the dust may have finally settled on Bitcoin. For that reason, it may be wrong to declare that it's on the way to obsolescence. That's the argument of prominent venture capitalist Marc Andreessen, who has invested in Bitcoin wallet startup Coinbase. His main argument was that Bitcoin is an ecosystem, a method of payment. The focus on Bitcoin as if it were something investors should trade doesn't make sense. Here are a few of his most salient points. "Attacking Bitcoin for having speculative levels of volatility is missing the point of how the system was designed for this point in time," he wrote in one tweet. "In the short run, Bitcoin is still highly useful as a transaction and trust network in many uses cases even with high volatility," he added. He is right about that. There is a reason why several big companies such as Microsoft (MSFT), Dell and online retailer Overstock (OSTK) are accepting Bitcoins as payment. You can also use Bitcoins to purchase gift cards from retailers such as Target (TGT)and Amazon (AMZN). And a growing number of local small businesses have embraced Bitcoin too. Andreessen also noted that "cherry-picking" specific date points to use when discussing the price changes also is disingenuous. Anyone that bought a Bitcoin at the end of 2012, for example, is still sitting on a huge gain. So it's probably a mistake to declare the end of Bitcoin just yet. In fact, there's even a website devoted to Bitcoin obituary stories ... that have so far proven to be all wrong. Bitcoin has apparently died 32 times already.